This project is prefect for fabric remnants. The concept used is based on this Tea Cup Holster tutorial via The Iron Tailor. It is so easy to follow, just customize to your liking and you'll be ready for tea dueling in no time! I choose to use velvet on account that is what I had on hand and the color made it an ideal gift for my sister, Jazmin, because she loves all things purple! 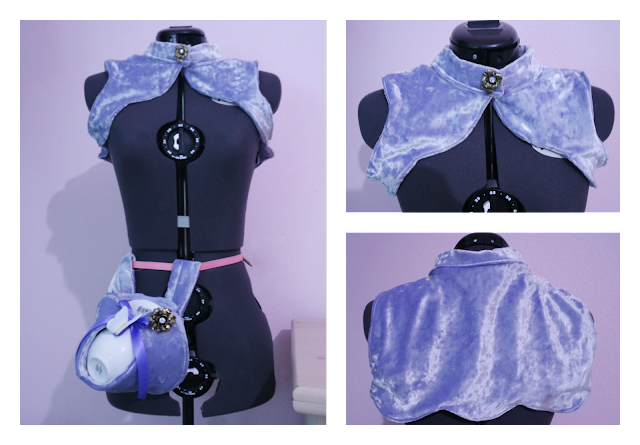 Additionally, I had just enough fabric to make her a matching halter vest with a scalloped hem. I love how feminine and soft it looks and feels up-close. 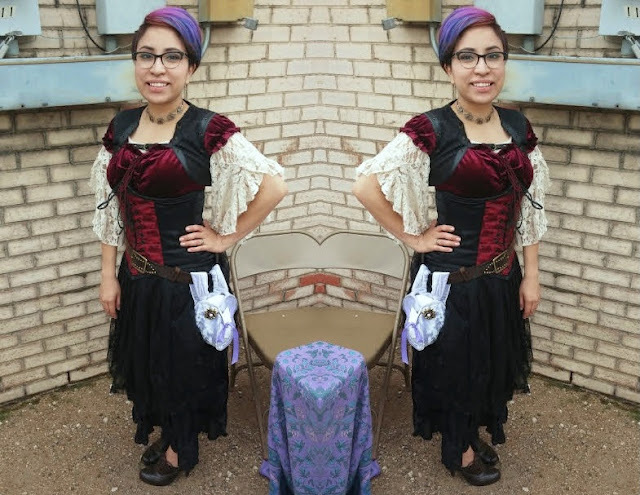 Here she is all dressed up in her get-up at Steampunk Saturday February 2016!